Despite the close relation between domesticated dogs and coyotes, there is a stark difference in the way that humans treat individuals of each species. While the former are beloved members of many human families, the latter are much maligned and vilified. 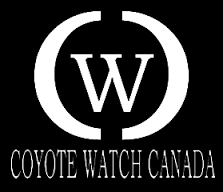 Lesley Sampson of Coyote Watch Canada hopes that we can rethink the way we see the coyotes that live around us. Coyotes should not be seen as pests or evil, but as wild animals who are doing their best to survive while humans encroach further on their habitat. She recommends that we embrace the ways that coyotes can be a source of ecological, spiritual, and social well-being. Tags: coexistence, coyote, coyote-watch-canada, coyotes, ecology, lesley-sampson. Bookmark the permalink.